Here are The Statesman’s player ratings from the fourth Test match. 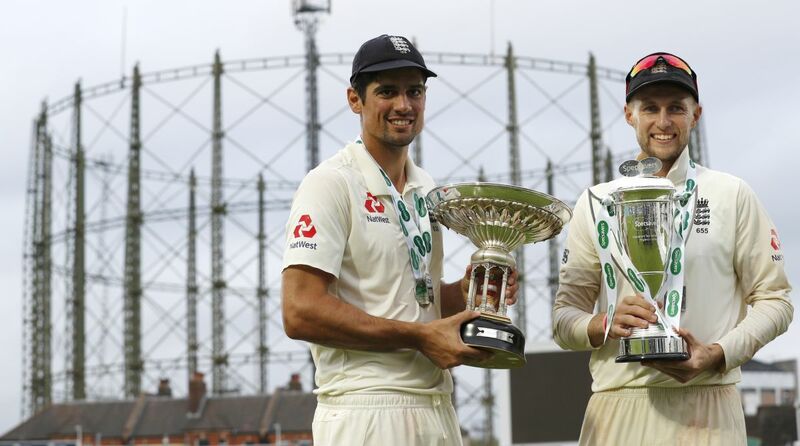 Joe root-led England cricket team defeated India by 118-runs in the final Test to give their record run-getter, Alastair Cook, a perfect farewell on Tuesday. The match was played at the Kennington Oval, London. In the last Test match, Virat Kohli-led India made multiple comebacks in the game but still got outplayed by the English team. In the second innings, after getting reduced to 154 for five, all-rounder Ravindra Jadeja brought India back into the game by scoring an unbeaten 86 runs. In the fourth innings, India’s upper order batsman Kl Rahul and Rishabh pant scored magnificent centuries, however, the duo was not able to win the match. On the other side, Joe Root produced a splendid all-round performance to outplay the visiting team. In the first innings, Alastair Cook and Moeen Ali gave England a decent start by scoring half-centuries. And after England’s middle order collapsed Jos Buttler and Stuart Broad gave hosts team a perfect finish. Cook followed up his performance in third innings by scoring his 33rd tons and skipper Joe Root slammed a century to take 463-run lead against India. Shikhar Dhawan was disappointing with the bat in the fifth Test match. Dhawan scored 3 & 1 run respectively in the first and second innings. In the fifth Test match, KL Rahul was playing for his spot in the Indian squad for upcoming series against West Indies and Australia. The 26-year-old batting brilliantly in the riveting contest. Rahul scored 37 and 149 runs in the last Test. Cheteshwar Pujara, who is also called the modern wall of Indian cricket, scored only 37 runs and duck in the final Test. For a player of his calibre, Pujara failed in the final Test. Indian skipper Virat Kohli missed out on his 20th Test century by 1 run and in the next innings, he was sent back for a duck. India’s vice-captain Ajinkya Rahane was not able to do much for his side in the first innings as he was sent back for a duck. In the second innings, he played a few nice shots before becoming Moeen Ali’s first victim. Rishabh pant had come under fire for his below par wicket-keeping. But the Delhi lad was brilliant with the bat in the second innings scoring 114 runs. Debutant Hanuma Vihari did well in his maiden Test. He scored his maiden Test 50 in the first innings but he did not follow up his performance in the second as he was removed for a duck. Vihari also bagged the crucial wickets of Alastair Cook, Joe Root, and Sam Curran in third innings. Ravindra Jadeja was included in the fifth Test in place of Hardik Pandya. Jadeja was brilliant with the bat and ball in the first and second innings. Jadeja took four wickets in first innings and followed it up with an unbeaten 86-run knock. In the next innings, he again took three wickets, but did not do much with the bat later. Ishant Sharma took three wickets in the first innings but went wicket-less in the second. Star pacer Jaspri Bumrah went wicket-less in the second innings, after bagging crucial wickets of Alastair Cook, Joe Root, and Adil Rashid in the first. Alastair Cook shone with the bat in his final Test. Cook scored 71 runs in the first innings and followed it up with a brilliant century in the second. Moeen Ali scored a patient half century in first innings and bagged two wickets when India were batting. In the second innings, Moeen (20) departed early and then also dismissed India’s vice-captain. Joe Root was sent back for a duck in the first innings but he was impressive with his 125 runs in the second innings. A duck in the first innings and 18 runs in the second innings. He could have done better. Ben Stokes (11) had a decent game, he failed with the bat in first. He was decent in the second innings (37). Stokes also bagged three wickets. Jos Buttler was exceptional in the first innings as he scored gritty 89 runs for England. In the second innings, he was out for a duck. Sam Curran was average in the final Test. Curran scored 0 and 21 runs in first and third innings. He bagged three wickets in both the innings combined. Adil Rashid hangs with Jos Buttler at the crease in first innings and took one wicket in second innings. In the third innings, he scored unbeaten 20 runs and bagged the crucial wickets of KL Rahul and Rishabh Pant. Broad took 2 wickets and shared a crucial 98-run stand with Jos Buttler in first innings. 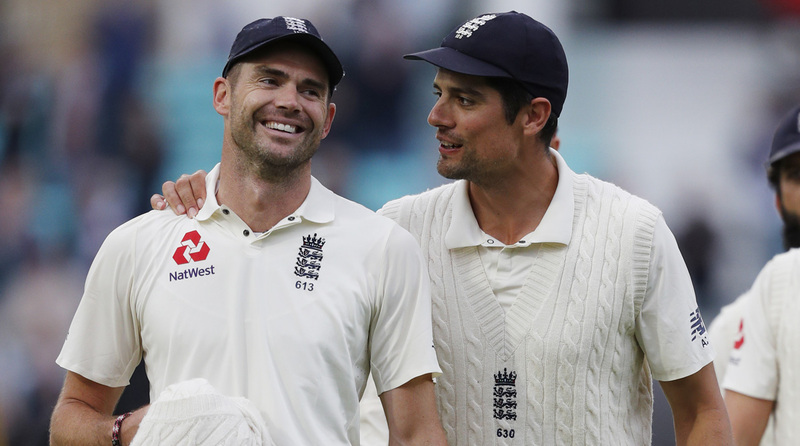 James Anderson bagged five wickets in final Test. He also surpassed Australia’s Glenn MacGrath’s record tally of 563 wickets.